Help transform the lives of children and youth by discovering how to improve their development experience. 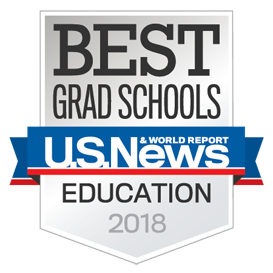 If you’re interested in learning and researching how developmental processes influence learning, performance and behavior in educational settings, a graduate degree in Educational Psychology-Applied Developmental Science is the right degree for you. The Educational Psychology-Applied Developmental Science (EP-ADS) program focuses on improving the social and cognitive lives of children and adolescents. EP-ADS students learn theory and engage in hands-on research experiences that examine how school and out-of-school settings influence learning and development. Students also engage in developing and evaluating interventions designed to support children and youth. Coursework targets educational and applied developmental psychology as well as research design, methods and statistics. EP-ADS faculty and students work together as close-knit teams, fostering a productive, engaging, and exciting learning environment. Is an interdisciplinary program. Students understand the challenges facing children and youth that draws frameworks from education, psychology, education policy, and other areas in their work. Provides rigorous research training. Students are well-taught and mentored to develop expertise on designs and advanced data analytic procedures. Takes a strengths-based approach. Students understand the complex challenges that children and youth face in their homes, schools, after-school programs, and communities. Is applied research that impacts education settings. Many of the important research questions emanate from challenges that teachers, school administrators, communities and policy-makers face on a day-to-day basis. Graduates from the EP-ADS program leave Curry prepared for educational science careers in academic, policy and research organizations. Our M.Ed. graduates often work as research analysts, educators or program coordinators. Ph.D. graduates usually work in academia or research organizations. Recent graduates have been employed as research assistants or analysts at organizations such as Edvance Research, Inc., and at various universities (such as SUNY-Buffalo, John Hopkins University, New York University and UVA). Some have become coordinators for community programs such as Computer4Kids. Others are instructors at prestigious schools such as George Mason University, University of Louisville, University of Michigan, West Point, Western Michigan University and alternative or charter schools. Our graduates also find rewarding careers helping students with disabilities. Choosing the right degree is critical to supporting your ultimate career goals, but with so many options, the choice may not be obvious. Let us help guide you through your choices. In just one-year, you can earn an M.Ed. in EP-ADS from the Curry School. The Master's program focuses on the development of children, youth, and adults in their social contexts. You’ll be asked to choose between one of two M.Ed. tracks: Applied Research or Applied Professional. Each track has different internship and coursework expectations. Our Ph.D. in EP-ADS degree is a full-time, on-Grounds program. It offers intensive research training and an apprenticeship and takes nearly four years to complete. Preference is given to individuals who show potential for outstanding performance and who are likely to make significant contributions to the EP-ADS. All Ph.D. students in this program are eligible to receive funding for four years as part of this doctoral program. Masters and doctoral students in the Educational Psychology-Applied Developmental Science program learn about schools, classrooms and other social settings as contexts critical to child and adolescent development. Research opportunities are available in relation to teacher professional development and teacher effects, preschool classroom quality, English Language Learners in early childhood, social and emotional learning interventions, youths’ perception of stigma, early childhood classroom quality, peer-mentoring programs and positive youth development programs. The Curry School of Education and Human Development has several key, educationally-relevant research opportunities available.